With the reports of forthcoming solo albums from both André 3000 and Big Boi swirling about as well as the usual speculative rumors about a new OutKast album in the works, some new material from the Grammy-award winning duo would be real clutch right now. While such a delivery is realistically many months (possibly years) away, a dope remix of a classic OutKast tune is a suitable consolation. We have Florida production duo Urban Noize to thank for temporarily filling the void created by duo's much-felt hiatus. 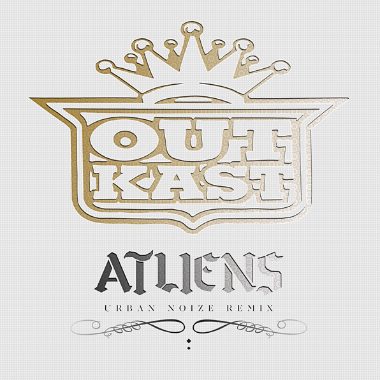 For their latest remix brothers Steve and Steven tackled OutKast's timeless 1996 single "ATLiens", off their certified double platinum album of the same name. For the remix the brothers transformed the orginally funky number into a more soulful and bluesy record with the aid of some sample-driven production that meshes well with both André and Big Boi's flows. It's hard to believe that it has almost been 16 years since since the release of ATLiens. While a lot has changed since 1996, OutKast's music still remains just as dope as it was 16 years ago.